The waiting will soon be over for the UK’s premier property event. From 19th to 21st October we will be exhibiting at MIPIM UK, the place to be for commercial property owners and developers. With three intensive days of conferences, exhibitions, networking events and an awards ceremony, MIPIM UK provides a marketplace for international and local investors, developers, occupiers and property professionals to meet, discuss opportunities and do business. Focusing on the UK property industry, MIPIM UK is the UK’s largest exhibition and conference for property professionals. It provides a marketplace for industry players and international investors to meet, discuss projects and opportunities, and do business. We’ve recently signed up to MIPIM UK and RESI, two of the most respected construction and property events in the UK. Since the development of the Vieo roof and wall profile we have seen this fast-growing product used to really great effect on residential developments. So we thought that it was about time we spread the word. And spread the word we shall, exhibiting at RESI, one of the leading residential property and construction events in the UK. That doesn’t mean that we’re ignoring industrial and commercial construction. Far from it. MIPIM UK is the place to be for commercial property owners and developers. RESI is the definitive must attend conference for the residential sector, unique and unequalled in that it takes a holistic view of residential development and investment, comprising market, economic, political and social perspectives. Celebrating its 10th year, RESI will have a forward focus, mapping the blueprint of the next ten years and posing the question How do we modernise the Industry to make it fit for purpose? RESI will continue to facilitate cutting edge debate, showcase best practice, explore the opportunities and challenge the status quo – championing the delivery of additionality and innovation across all housing tenures. This week sees the departure of Stalwart Area Manager Keith Leslie. We would like to wish Keith the very best in his retirement; we will miss him.Keith was responsible for servicing our Scottish customers for more than a decade and in that time he has become the face and voice of Euroclad in the northern third of the UK. We are currently recruiting for Keith’s replacement. Until we get the right person on board please contact John Spittlehouse with any questions about Scottish projects, orders or deliveries. It is a pleasure to congratulate Clive Wright on a very special work anniversary. 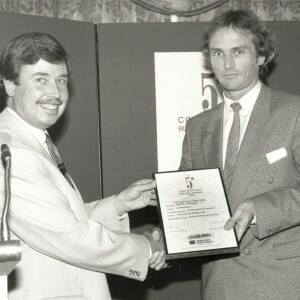 35 years ago to the day Clive started work at Euroclad, as one of the very first people to be employed. Ironically he only joined for two weeks of temporary work as a Machine Operators Assistant. 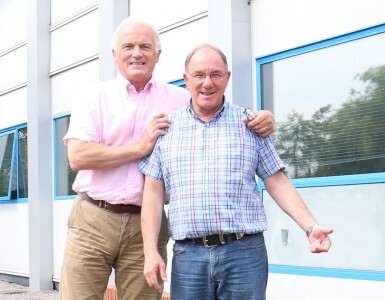 But despite having no previous industry experience Clive had an affinity with profiled sheeting and he thankfully stayed, developing an unprecedented level of manufacturing knowledge and experience; growing as an individual, whilst Euroclad grew as a company. Clive helped develop our manufacturing systems from the very beginning of the company and he continues to do so, currently holding the pivotal position of Business Operations Manager. 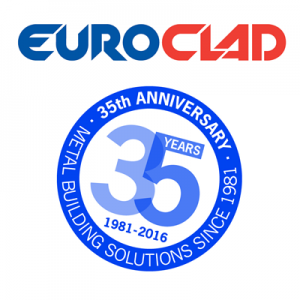 35 years ago Euroclad was conceived and we’re pleased to say that the business has grown, evolved and innovated in order to anticipate and react to the changing requirements of our customers. 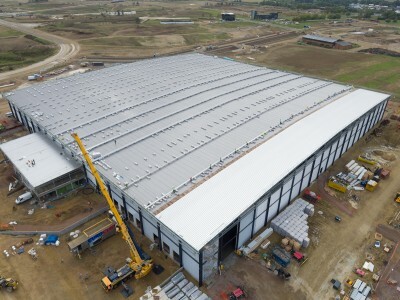 Metal roof and wall cladding has experienced evolution, revolution and renaissance since the 80’s and we have been ever-present; at the forefront of the industry as a reliable name, representing the very highest levels of quality and service. Many early employees are still with the business, forming the backbone of the company in production, technical and sales, and supporting the company’s enviable reputation for reliable products, delivered on-time. This experience is balanced by enthusiastic new members of the team, who are helping to maintain our high standards and drive product development into new and exciting roof and wall systems. We would like to thank all of our customers, new and old, for being part of both our history and our future. Managing Director Phil Cook, who was the second person to be employed by Euroclad, recently celebrated his 35th anniversary at Euroclad, saying “Working with such great people has been one of the pleasures of working at Euroclad over the last 35 years”. If you are interested in joining our Sales Team – click here for more information. To develop sales of the Euroclad ranges of products and systems by achieving specifications and through the efficient account management of specialist contractors, in line with the agreed sales budget within a defined geographical area. 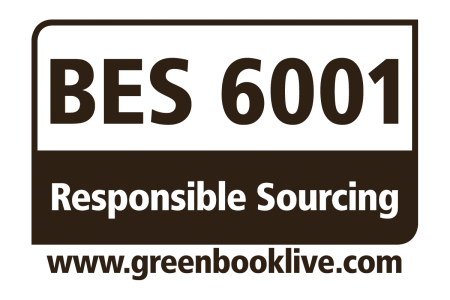 To promote company capability and product awareness to Architects, Clients, Engineers, Project Managers and Main Contractors having ability to influence building design and procurement policies. 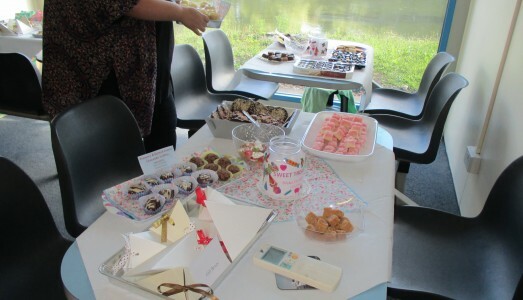 As the market changed the business grew. It could be argued that Metal Cladding in the built environment has experienced a revolution since the 80’s in which Euroclad systems have been at the forefront. Many of the early employees, not just Phil, are still with the business, forming the backbone of the company in production, technical and sales supporting the company’s enviable reputation for reliable on time in full quality product. Their experience is balanced by a younger team who are helping to drive the company into new and exciting metal systems based on thorough research and development. We would like to thank all our customers, new and old for being part both of our history and our future.